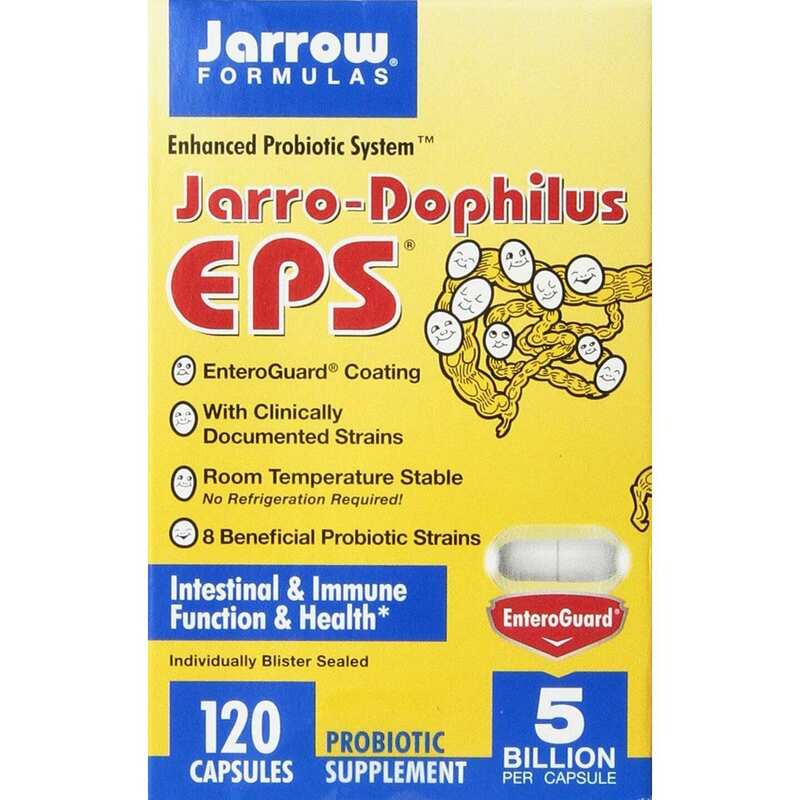 Jarro-Dophilus EPS is a Stable-Dophilus due to its stability at room temperature and enteric coating, which protects the probiotic bacteria from stomach acid. Eight (8) different strains of probiotic bacteria are delivered directly into the small intestines where probiotic bacteria fully exert their beneficial effects*. 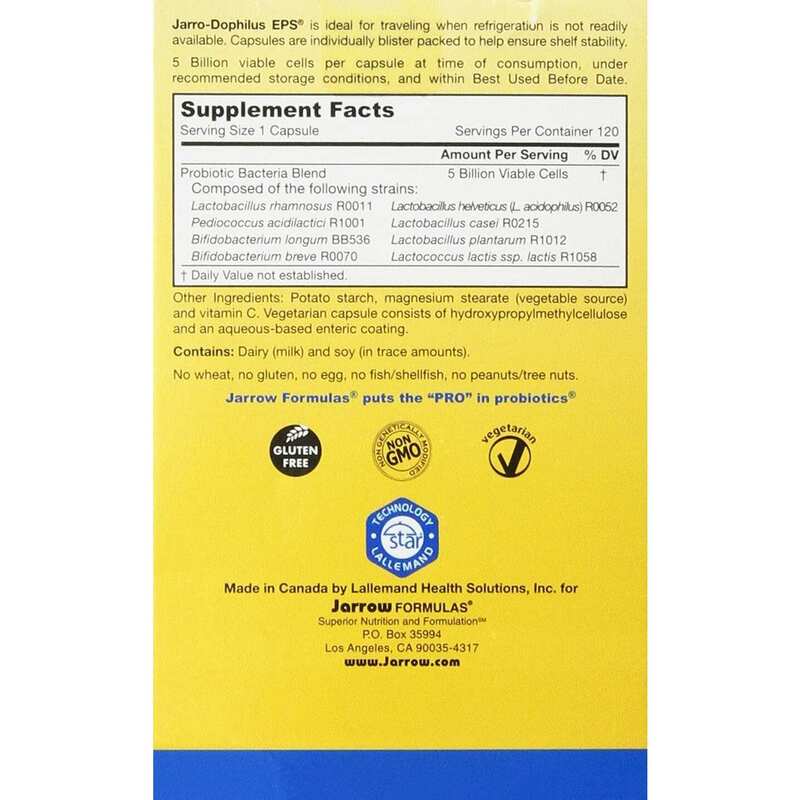 Probiotic bacteria in Jarro-Dophilus EPS are selected from the following 4 genera: Lactobacillus, Bifidobacteria, Lactococcus and Pediococcus.Strains in Jarro-Dophilus EPS promote healthy intestinal microflora, which in turn helps to support intestinal health and immune function*. Bifidobacteria longum BB536 has been clinically shown to stimulate immune response and suppress intestinal putrefactive bacteria*. L. rhamnosus R0011 is a unique, high producer of polysaccharides that facilitate colonization and stimulate intestinal immune response*. L. acidophilus R0052 assists in breaking down lactose (milk sugar), which may improve digestion of dairy products by those individuals who are lactose intolerant. Lactococcus and Pediococcus help reduce spoilage caused by unfriendly bacteria in fermented foods.